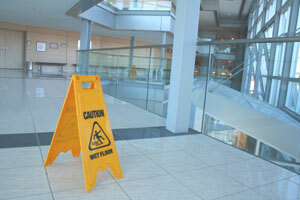 Injuries that occur at either a place of business or on a person's private property are far too common. These types of cases can include slip and falls, inadequate security, construction or contractor defects, and animal bites. In Oregon, owning property does not make the person or business liable for all injuries occurring on their premises. There must be some negligence on the part of the property owner in order to establish liability. Oregon statutes and case law establish different types of duties depending on a number of factors. In order to determine the duty owed by a property owner, it is necessary to determine if the injured party is an invitee, licensee, or a trespasser. If they were an invitee or a licensee, were they acting within the scope of their purpose to be on the property? Other factors to consider are: What caused the injury? Did the owner know of the danger or hazard and do nothing to warn the victim? If they did not know of the hazard, should they have known? Matthew D. Kaplan understands these factors and handles all aspects of premise liability cases. Recently, he represented a child victim injured from a negligently displayed product at a large corporate home improvement store as well as a child who was injured as a result of an improperly built structure.